Heidi Alexandra Pollard, celebrating with A Celebration of Women! has been inspired to share this wonderful video with the Women of our World. It is such a heartwarming event when one’s mission is appreciated, recognized and successful in it’s goals. We are smiling when we receive such a lovely message from a superb member that Took Action and put real life in her support of our work by sharing with us at A Celebration of Women her video, ‘Women make the world go around’. Let’s invite this powerhouse all the way from Warners Bay, New South Wales, Australia and hope that we all read more about Heidi soon in our Alumni of WOMEN of ACTION! 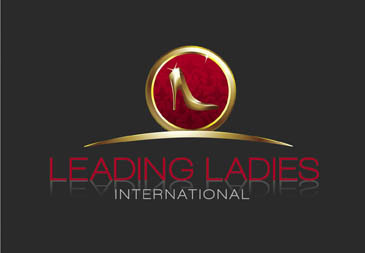 Thank You, Heidi Alexandra Pollard @ Leading Ladies International! As Global Advocate, World HUB for Women Leaders, A Celebration of Women nurtures by Celebrating the Lives of all WOMEN of ACTION; Women that are trailblazing in our Mission for Global Gender Equity and Women’s Issues, inspiring ALL WOMEN to Take Action in their own lives, awakening to the fact that each and every single Woman in our World has a LIGHT inside her waiting to be lit, fired up and shine. A Celebration of Women is here as the World HUB, to Celebrate all Women Leaders, bring them together-united in one mission, respecting each other’s focus and sharing in each others glories. ALL WOMEN LEADERS, like Heidi, together are creating a Globe of Lights that will Awaken our World. Women of our World, the time is NOW! Heidi Alexandra Pollard , Founder of Leading Ladies International! Coach, trainer, facilitator, author and speaker, Heidi inspires all who come into contact with her and her unique message. Her passion has always centered on principles such as two-way communication, servant leadership and continuous learning  her message  creating organisations with hearts that connect with people. She enjoys working closely with professional communicators and leaders who are in a position to affect their company culture and are up to the challenge of adopting a feminine, servant leadership style. Perhaps, you’ve been thinking about the differences between female and male entrepreneurs and wondering if men have a more natural knack for entrepreneurship. Maybe you thought you should model what’s working for men in the hope it will work for you? Or are you wondering if you should play up your feminine qualities and do something that is unique to women, in order to excel? As a leadership advocate and female entrepreneur myself, I believe you must have a mix of masculine and feminine energy in any business or venture to make it truly successful. And as women we can do many things in business similar to how our male counterparts would do them and yet in other ways we can do things that are distinctly different. What I’ve found from working with both male and female clients who are excelling in their own right is that they have several commonalities. Use a mentor or a coaches to keep them on track. Measure success by the legacy they are living. YOUR WOMAN of CHOICE above in our COMMENT BOX. I went to school with a “Heidi Pollard” at Whitthorne Jr. High School, in Columbia, TN. I had moved there from Calif. & didn’t quite do one year. I am 56, soon to be 57 so Heidi would be about that age. Her dad was or had been in the Army I think it was. I have tried to google her name & looked for her on F.B. but no luck, so yours was one of the names that came up so I thought perhaps you might have some knowledge of her. My leading ladies growing up were my two Grandmothers and my Mom. Grandma Santavy was the best role model. Miss her. This is beautiful! I am blessed to have had amazing mentors from a very young age. Now its time to give what I’ve been so bountifully been given. You are one leading lady Heidi! I’ve been inspired by many women – some of my teachers, some public figures I’ve known or watched. We never know when our actions will inspire (or deflate) someone else, so the idea of us all being leaders for others is a great path. Your own leadership is what so many others will benefit from. Wow! Great question! I’ve been inspired by so many through the years — through their writing and through their interaction with me. My grandmother’s have inspired me. And, I’ve got and have had many amazing mentors. I find inspiration all around me! ♥ Katherine. Heidi–what a fabulous video!! The whole thing is inspiring, you are inspiring and I have to say that my soon to be 90 year old Mom is inspiring. Thank you for empowering women to really be and live all that they really are! Thanks for your comments Lisa – all of those you list are indeed inspiring women – wonderful to read some of them have been close to home too! I have been inspired by so many women. To begin with my grandmother and mother. My aunts. My friends. Beyond that there are so many — Cheryl Richardson, Jackie Collins, Ali Brown (all of the women who have been in MPC and/or are currently in MPC). There truly are too many to list.